Virtual Reality is the most popular across the web where people were already fell in love with real-time viewing experience which can be delivered through virtual reality. So, from marketers to ad makers have targeted the virtual reality market across the web. Virtual reality is still growing in marketing and advertising sector and it can be considered as the most emerging technology today. The virtual reality viewing experience is enhanced by the various virtual reality headsets with the top companies like Facebook, Samsung, Playstation, Google; HTC etc are already buzzing the virtual reality market. Social platforms are also moving ahead to deliver their users the better viewing experience and competing with the other social media platforms. These social networks are not only targeting the users but also focusing on the publishers and marketers on their platforms and giving them a choice of making the Virtual Reality technology for their marketing and advertising. Facebook Platform was already providing the 360 degree live videos to its users and updated recently with the live virtual reality gaming sessions on its platform. This is the top news across the web. Yes, Oculus was updated its Gear VR platform and allowing the users to live stream their gaming with VR directly on the Facebook platform. The main objective of enabling this new feature is to share the magical experience of the Virtual Reality to all. Virtual Reality can be better understand by you when you experience the technology rather than reading about it. The Oculus had planned to update its live streaming by updating its Gear VR which enables the users to stream their game play that allows the friends to watch and comment as well as react on your gaming footage on Facebook platform. Previously people used to exhaust into their VR headsets while playing interesting games and the other friends can’t be able to watch what’s going on in the gameplay. This situation is too boring for the audience to know what others are doing in the gameplay and there is no option to stream on the screen. Today, with the update of gear VR, people can stream online and the audience can watch the things much better as it will live stream directly on Facebook that too in VR experience. Oculus Rooms are introduced previously for the hangout with the friends and relatives in the virtual reality as a medium. A new dimension of social Virtual Reality was come into being by providing a new experience to the Gear VR viewers. The new updates of the Oculus Rooms allow the new content watching for free in the Rooms and users can watch the music videos and expand their video collection. Users can also watch the 360-degree videos with VR experience. More features are going to add to the Oculus Rooms to enhance the social VR experience to the people on the Facebook platform. The search functionality was also updated in the Oculus Rooms feature. The users can use the voice in order to search on Facebook platform. The voice searching feature is the extension to the featured voice command which is added to the oculus home. Oculus Events is also one of the recent updates which makes finding the friends with much ease to experience VR together with them. At present, it is available for the English speaking people. The new feature will allow the public events and can interact with the Gear VR. You can also find the events that are displayed in the Oculus Home. These Oculus events can be accessed from its dedicated tab for events. The users can also set the various reminders for the marketing of future events as well as users can jump into live sessions. Oculus events also support the gaming of multi players and this is the new update which levels up the complete social interaction levels and it is a powerful way to build good interactions with their new VR technology on Facebook. The speech recognition allows the users to navigate the menu and search for the content across the Oculus home. Friends can check the online status and let them invite through the voice commands. The VR sharing feature allows the users to share their virtual moments with the friends and relatives on Facebook platform. The Facebook started its VR live streaming directly with the Gear VR. Users can share their experience in the gaming world to the friends across the Facebook platform. 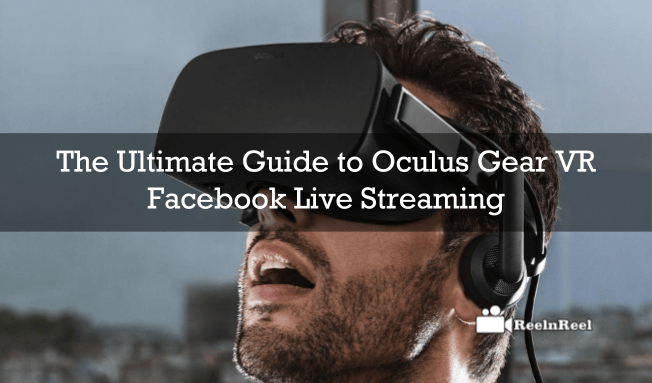 Users have to select the “Live Stream to Facebook’ button in the universal menu in Virtual Reality and users can start their live streaming instantly with the friends on Facebook. The Gear VR update is very easy to schedule the things like sessions, reminders for events etc with anyone. The Oculus featured to highlight the special events in your oculus home and the event’s tab can be available for the events searching queries. The present new feature is available for the users outside the US and it is available soon on latest version across android phone like Samsung in few days. If you are going to rock the things in VR, you must experience the present VR ecosystem and make VR as your priority first to learn the things from the first door. You can also grab the things about the revenue generation using the virtual reality as your medium. This made the gaming to the next level on a Facebook platform which can provide a unique experience with the virtual reality technology by Gear VR directed on the Facebook platform.